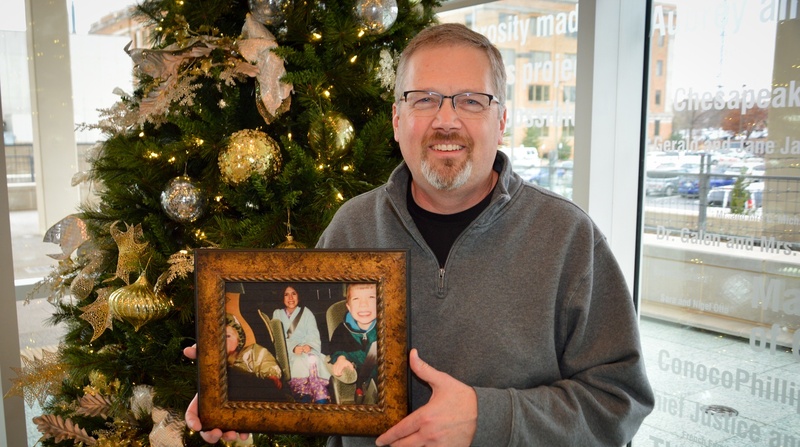 Every year, in the days leading up to Christmas, Patrick Gaffney, M.D., and his wife, Amy, would gather their three children to go for a special night drive. The kids would put on their pajamas, and they’d enjoy freshly made hot chocolate and Christmas cookies while gazing out at the colorful displays festooning houses and yards throughout Oklahoma City. The kids have gotten older now, but they all still come home for the holiday. “It’s a chance to catch up and get away from the busy-ness of life,” Gaffney said. As a scientist at the Oklahoma Medical Research Foundation, Gaffney studies the genetic basis of disease. He uses DNA sequencing technology to delve into the roots of lupus and rare illnesses, conditions whose seeds can be passed from generation to generation. For many researchers, that kind search for scientific truth seems at odds with religious conviction. A 2015 study from Rice University found that scientists are less religious than the general population. “No one today can deny that there is a popular ‘warfare’ framing between science and religion,” said the study’s senior author, Elaine Howard Ecklund. But to OMRF’s Gaffney, a lifelong Catholic, science and faith need not be at war. Indeed, the Rice University study found that Gaffney isn’t alone. In a survey of 9,422 scientists in eight regions around the world, only a minority believed that science and religion are in conflict. And more than half of the scientists in four of the regions self-identified as religious. Those findings square with Gaffney’s personal convictions. “In science,” he said, “there’s a method for making discoveries and explaining why things are the way they are.” But, he said, science doesn’t have all the answers.